Amazing opportunity in growing commercial/ residential area. PRIME LOCATION! 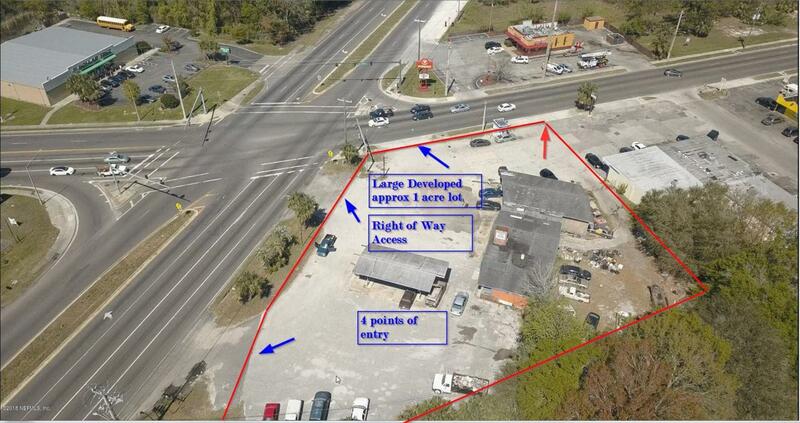 Property is located on very busy right of way at the intersection of Soutel and New Kings Rd. Uses of this property is limitless. Close to I-295/ Pritchard Rd (trucking/ industrial area) as well as a mature and established residential area. Call for a tour of property, this gem will not last long. Easy to show during open hours. Listing courtesy of Explore Realty Inc..